CAPE CANAVERAL — All systems are now “go” for launch of the Air Force’s X-37B mystery spaceplane on May 20 from Cape Canaveral aboard an Atlas 5 rocket. Officials had delayed the X-37B launch by two weeks — from May 6 to no earlier than May 20 — due to an undisclosed payload issue. Officials on Monday removed their tentative caveat from the May 20 target and firmed it up. 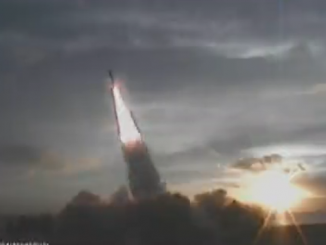 “The ULA Atlas 5 launch of the AFSPC 5 mission has been confirmed on the Eastern Range for May 20, 2015. 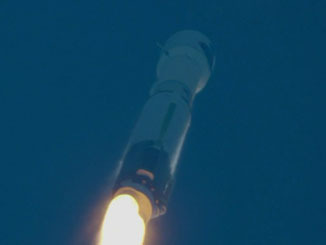 The U.S. Air Force has confirmed the spacecraft is on track to meet this launch date,” ULA said in a statement. The Atlas 5-501 rocket is stacked inside the Vertical Integration Facility at the Cape’s Complex 41 awaiting arrival of the spaceplane for mating to the booster’s Centaur upper stage. The Centaur will execute a single firing during launch to insert the stubby-winged vehicle into orbit. Meanwhile, Air Force officials have provided more detail on the propulsion experiment to be conducted on this X-37B mission. 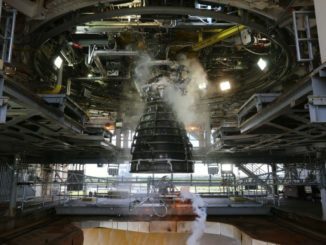 It is a Hall thruster electric propulsion test to enable in-space characterization of design modifications that are intended to improve performance to the units onboard Advanced Extremely High Frequency military communications spacecraft, officials said Monday. Produced by Aerojet Rocktdyne, the AEHF satellites’ Hall thrusters are 4.5-kilowatt units that use electricity and xenon to produce thrust for maneuvering satellites in space. The novel electric propulsion system produces a whisper-like thrust by ionizing and accelerating xenon gas. Unlike conventional chemical engines that deliver substantial boosts with each brief firing, the electric system needs the stamina to operate for exceptionally long periods of time to harness its 0.06-pound-thrust into orbit-changing power. The divergent systems have their advantages and drawbacks. Although typical engines can maneuver satellites rapidly, they use large amounts of heavy fuel that in turn require a bigger, more expensive rocket to carry the spacecraft. Electric propulsion gives up timeliness for efficiency since its xenon fuel weighs a mere fraction of conventional hydrazine, but you must have patience to reap the rewards. Each of the AEHF satellites, valued at over $1 billion, is a nuclear-survivable spacecraft that would ensure American leadership with communications in the most hellish scenarios of war imaginable. Three such satellites have been deployed to date, with three more planned. 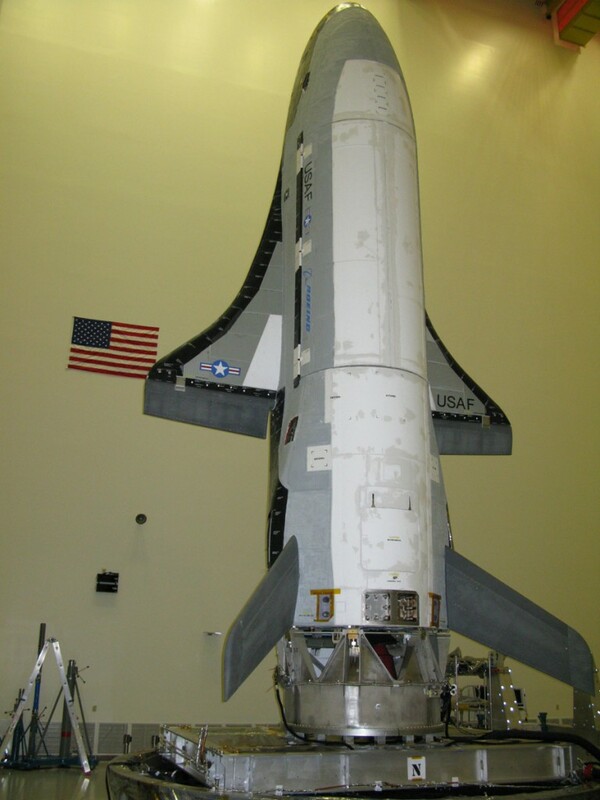 The on-orbit test plans for the X-37B experiment are being developed by Air Force Research Laboratory and administered by the Rapid Capabilities Office, which runs the X-37B program. “The experiment will include collection of telemetry from the Hall thruster operating in the space environment as well as measurement of the thrust imparted on the vehicle. The resulting data will be used to validate and improve Hall thruster and environmental modeling capabilities, which enhance the ability to extrapolate ground test results to actual on-orbit performance,” the Air Force said. “Space is so vitally important to everything we do,” said Maj. Gen. Tom Masiello, AFRL commander. See our earlier launch coverage.